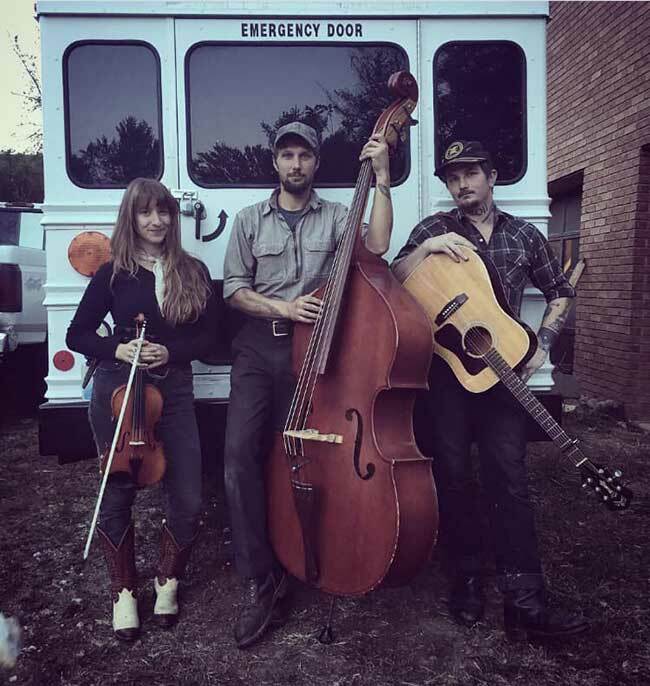 Kentucky’s Last Street Dog Band, made up of guitarist/vocalist Benjamin Tod, fiddle player/harmony singer Ashley Mae and bass player Jeff Loops, have been playing since 2010. Weight Of A Trigger, their fifth album, is the good kind of country. There’s nobody here singing with a fake southern accent and there are no attempts to play to pop country clichés. 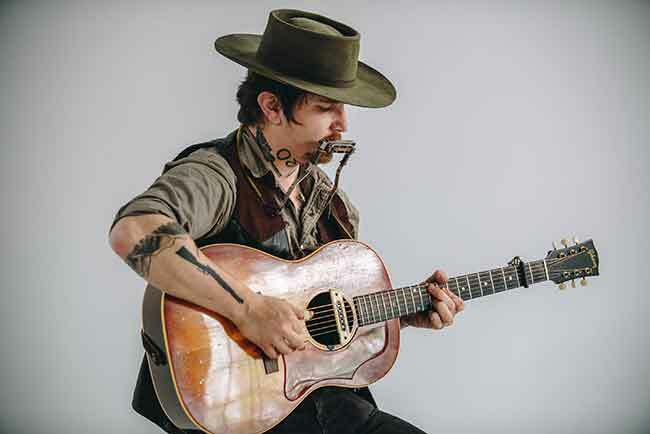 This is the broodier side of traditional country and western music, played with the kind of spirit and sincerity that is earned through experience. The album starts off with To Heaven From Here, a great slice of Americana performed with just the right mix of harmony and authentic twang. The simple bass line suits the track perfectly and is sure to get your foot tapping while Tod’s vocals and Mae’s harmonies flow over the killer pedal steel playing and winsome fiddling. It’s smooth, and nicely balanced and a great way to open the album. Given Up Faith is a bit more melancholy, as the title of the snog suggests. Very little of the lyrical content here is particularly happy, but it doesn’t need to be. This one just has a genuinely sad tone to it. It’s a mellow song about a man wanting to build a home for his girlfriend or wife, but of course, it goes south and how. The guitar picking here is gentle, there’s some nice harmonica in the background to fill the sound a bit – it works really nicely. Terrible And True is the longest track on the album, almost hitting the five-minute mark. Again, as the title implies, it’s less than jovial, both lyrically and musically. The acoustic guitar playing here is a bit more loose than it is on the other songs, this one sounds just a tiny bit less polished than the others, but when the harmonies level up in the mix, you can’t help but feel it – and that right there is the sign of good song writing. Some perfectly somber pedal steel stands out on this one as well. Bring Back Someday has a bit more of a hillbilly/bluegrass sound to it, but damn it all if it isn’t catchy as catchy can be. Tod’s vocals stress a bit here but in a way that adds a welcome does of earnestness to the delivery. It he sounds like he’s singing just a little bit out of his comfort range in the verses, once he starts harmonizing with Mae it once again fits really nicely. But those moments where his voice sounds just a tiny bit uncomfortable add a certain something to this stand out track. Up next, Without A Doubt, a track that features the longest instrumental opening of anything on the record. This lets the trio show off their playing a bit before the vocals kick in. Again, this isn’t a particularly cheery track – it’s about being hanged – but they layer the song really well, that fiddle and that bass and that pedal steel really just building an impeccable tone that just gets to you in all the right ways. The track War Inside Of Me is clearly one of the more personal songs on the album. It isn’t shy about what it’s about – dealing with addiction and doing what you can to win that battle – and maybe not so surprisingly it has a very pensive feel to it, a reflective sound that makes you think back about your own fuckups. Good music should do that, and this song does. Diane is a bit more upbeat, not a bad thing after that last track (as good as it is), but it’s still a gloomy track about doomed romance and the way that something like that can effect a person. Lyrically it has a solid narrative, it tells a good story. Musically it’s less innovative than the other songs on the record but it still sounds good, the pedal steel once again really standing out. The title track, Weight Of A Trigger, is yet another contemplative track, this one slower and darker, at least musically, then much of the other music contained here. The focus is more on Tod’s vocals than the playing, the instruments in many ways take a back seat here, but again, it works. It’s soulful and effectively sad. The fiddle playing here really helps to enhance the mood, it’s very somber even without the vocals or the other instruments worked into the mix. Lazy Moonshiner continues the slower pace set down by the track before it. It also lets Tod get just a bit more forceful with some of his lyrical delivery, not quite yelling but definitely providing some targeted annunciation that adds some punch to a few specific lines. The album closes off with Just To Say Goodbye, a fittingly mellowed out and reflective way to finish things off. Tod and Mae harmonize really nicely here on a track that, yeah, focuses on sadness and loss (obviously a theme here but one that the band does exploit really, really well). There’s also a genuine sense of sweetness that breaks through the melancholy vibe that’ll appeal to the romantics out there. All in all, fans of traditional country music who can appreciate healthy doses of gritty sadness and earthy reflection should really appreciate this work. The playing is rock solid and the vocals delivered with the type of sincerity that really should be considered mandatory for the genre. 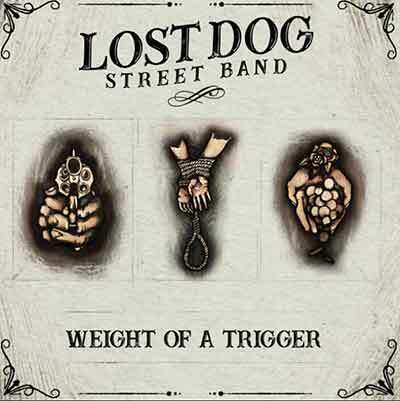 By mixing roots, bluegrass and Americana with the basic tropes of old school country, Lost Dog Street Band manage to create a sound that is both unique and wholly in keeping with the past. It works really well, and this album is an easy recommendation for those who appreciate the genre.